Blame remote working, Uber, cheap car loans and the internet. Cubigo offers an easy-to- use, personal platform with Cubes™ to solve every day staff, resident, and family challenges in senior living. Our solutions for staff efficiency, digital signage, and resident/family engagement drive quality care, lower operating costs, increased occupancy rates, customer satisfaction, and opens new revenue channels. As senior housing communities expand beyond the walls of campuses, Cubigo connects seniors to local senior living communities’ services and offerings. This attracts potential residents to drive occupancy rates and allows seniors to stay longer in their own home when resources are limited. Out of the three major sectors of the economy—agriculture, manufacturing, and service—two are already largely automated. Farm labor, which about half the American workforce used to do, now comprises around 2 percent of American jobs. And we all know the rust belt song and dance, beat out to outsourcing and mechanization. Which is largely why some 80 percent of all American jobs are service jobs. And this year, quietly but in the open, the robots and their investors came for them, too. 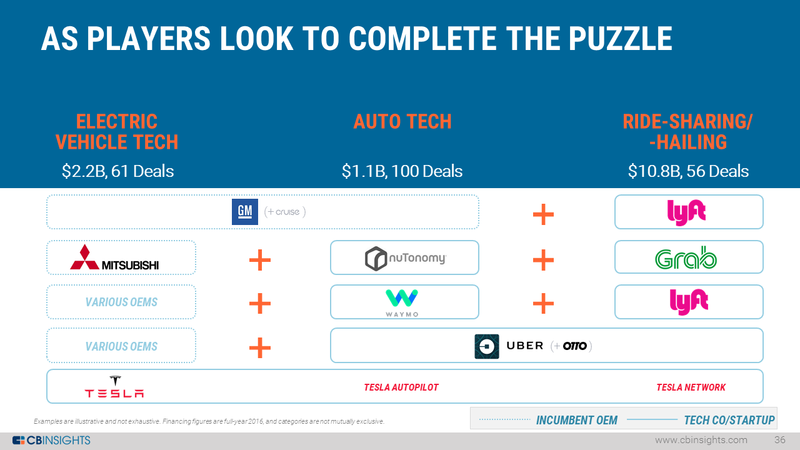 Interest in auto tech has risen dramatically in recent years. Here are the trends to understand. Technology has always been a staple of automotive research and development, but the past few years have seen a technology arms race as advances in IoT and artificial intelligence disciplines filter down to the automotive sector. Startup investment has risen dramatically as concepts once reserved for science fiction (like autonomous vehicles) move towards commercialization. 2020, The Year Of Robotic Negotiations? In games, artificial intelligence is on a winning streak against the best human brain power of the world. In 1997, IBM’s Deep Blue already beat Gary Kasparov, the chess world champion. In 2016, Google’s AlphaGo beat grandmaster Lee Sedol in the much more complex game of GO. The past year, Deepstack and Libratus – two AI algorithms – have beaten top-ranked professional poker players in 2 person no-limit Texas hold-em poker. It is only a matter of time before AI is deployed in the yearly negotiations in food retail and FMCG. After all, these negotiations can be considered as the most exciting high-stakes poker game in the world, with billions of dollars on the table. Chess and Go are perfect information games. At any given moment, all information is available and visible for all players. Gaming AI’s calculate the possible results and rank strategy options based on the history of previous games. In 2017 Google demonstrated a new revolutionary approach. Its AI Alpha Zero was programmed only with the chess rules, no historical game data, no chess strategies. It was given 4 hours to learn how to play chess and afterwards beat Stockfish, the reigning computer chess algorithm. This illustrates the state-of-the-art of AI speed of learning and the fact that AI can come up with different and better solutions than the human brain. Poker is an entirely different animal, much more similar to retail negotiations. Bluffing is often employed as a tactic. Information is imperfect and changes constantly, since both players have two initial private cards and at the introduction of each set of public cards, each player is asked to bet, hold or abandon the money at stake on the table. Poker theorist David Sklansky stated that if you can play poker as closely to the way you would play if you could see everyone else’s cards, you will win money. So winning in this type of game is all about filling the gaps of missing information, and acting on this data intelligently. The Deepstack poker algorithm only calculates a few steps ahead and continuously updates its algorithms as new information is acquired. Very soon, this type of poker bots will be very competitive in the multi-player poker world series. In FMCG, negotiations between buyers (retailers) and sellers (brand owners) are very complex. First of all because there are many topics, issues and possibilities. Secondly, the rules of the game are not clear, nor are they agreed to in advance. The first hurdle is the complexity of multi-issue negotiations. On a high level, one can say that negotiations are about (de-)listing of assortment, promotions and net-net pricing. Moreover, retailers manage consumer price levels as a lever for growth and profitability. In reality things get even much more complex. For example, assortment discussions involve breadth and depth of assortment of the brand owner versus the competition including private labels. Share-of-shelf and shelf position are key parameters. Furthermore, retailers are interested in exclusive SKU’s and brands to be able to differentiate themselves in a competitive retail landscape. We are also in a situation of incomplete information. Buyers do not always have a full understanding of brand profitability, in-depth category dynamics (like cannibalization between SKU’s) or options for exclusive brands, variant, promotions or other advantages. Buyers also lack knowledge on their situation relative to key retail competitors. Sellers lack knowledge on retail profitability and do not know the offers of other branded competition. They do not know the state of the detailed future promotional plans of all players. Today, even the best-in-class companies hardly leverage advanced modelling to simulate different negotiation scenarios. It is even less common that scenarios include simulations of the impact on the negotiation partner in terms of key parameters such as growth, profitability and competitiveness. Negotiations are done in an invisible space, with limited preparation and limited information. Win-win strategies are vague intentions or emotional statements, rather than a calculated expression of a real scenario. In phase 1, AI can assist negotiators to simulate different scenarios on multiple dimensions. The negotiation space will become more visible. In first instance, alternative options will be simple, even simplified for instance focusing on one category only. Later on, interdependencies between different categories will be included (e.g. shifting category shelfspace) or full store modelling will allow to predict competitive strength versus adjacent stores. The model parameters will be fine-tuned along the way, based on information exchange. Parties could also decide to run tests in order to improve their models. At this very moment, Carrefour France is testing an assortment with 80% private label SKUs in four stores. This will allow them to model cannibalization and store attractiveness. Amazon is constantly improving the parameters of their models through thousands of personalised A/B tests per week. This allows them not only to improve consumer loyalty but also to become a fierce negotiator, having access to more of the hidden information. The rules of the game are not clear. Very often there is no agreed priority of mutual KPI’s to be used as a measurement of success. Sometimes retailers communicate their priorities. However, in most cases this offers little guidance. If retailers declare they want to have lower net-net prices – the best of all competitors, less branded SKU’s in order to reduce complexity and will focus on listing exclusive innovations, then little room for negotiation is left. Priorities – real or communicated – can also change during the negotiation after exchanging the first bids or under time pressure. Furthermore, the process of negotiation can move from open and co-operative to closed power play, including threats, deadlines and limited communication. 20 years ago, after the supremacy of chess bots, a new sport was created: advanced chess. Over time it became visible that a team formed by a chess player with a chess computer always wins from the computer. The centaur team was born. With the exponential growth of business process automation in the past years, the quality of the interaction process between man and machine proves to be crucial for success. A key skill and development area for humans will be how to instruct, use and cooperate with artificial intelligence. These centaur teams will lead the negotiations. On top of content, a new dimension will be added: AI-based negotiation strategies. Textbooks have extensively described negotiation strategies, many hours of consulting are spent on preparing for negotiations and how to respond to every tactic. These strategies can be improved by AI as well. Moreover they can be fully personalized to perfectly fit the underlying personalities and track records of the negotiators. Simple apps already exist today that analyze personality and optimize communication style, such as Crystal Knows. Crystal Knows scrapes the web for data regarding your interactions on linkedin, facebook and other public sources. Facial recognition algorithms by Microsoft and Google are already able to read emotions from the face of negotiators. Imagine a tool with a more precise input and more efficient feedback loops with the sole objective to optimize your negotiation strategy. In a final phase machine-to-machine negotiations will become a reality. This will allow to take many inefficiencies out of the process, such as human emotions and it will minimise the information gaps. As we have seen with Google’s Alpha Zero, AI might come up with a level of creativity beyond human potential. The negotiation space will expand. It now depends on the programmed ethics if the negotiation robot will only try to maximize its own benefit or if it will take into account the interests of its opponent in order to reach faster, a fairer and more long term sustainable solution. Nils van Dam is a seasoned business leader, with more than 30 years of experience in the FMCG industry. He has occupied senior roles at global, regional and local level at Unilever, AB-Inbev and Censydiam in marketing, sales and general management. In his last role, as CEO Unilever Belgium & Luxemburg, he has lead the digital transformation in order to build a future-proof company. Nils has a passion for marketing, change management and business transformation. In 2018, Nils became Global head of the Food, Beverage and Food Retail practice of Duval Union Consulting. He is also partner and non-executive director at Jacoti, a new tech company in the hearing aids industry and non-executive director at the Brewery of the Trappists of Westmalle. Imagine walking into a cosmetics store with racks of makeup, shelves of perfumes, aisles of every beauty product imaginable — but you can’t touch any of it. Thanks to Sephora, beauty shoppers no longer have to face this scenario. Founded in 1970 by Frenchman Dominique Mandonnaud, Sephora pioneered the concept of try-before-you-buy for cosmetics, which has been widely replicated across beauty retail. And during a time where the retail sector is struggling — with almost 7,000 stores closing in the US in 2017 — Sephora is flourishing. In terms of beauty sales, it is the No. 1 specialty beauty retailer in the world. Amazon will save Healthcare industry $Billions via machine learning algo that extracts key data from patient records?—?it’s an EMR revolution by AI. Amazon has had a health innovation stealth unit called 1492 for quite some time. We’re slowly starting to understand how sweeping its changes are going to be. Recently we learned how Amazon will reportedly sell software that reads medical records. With ballooning healthcare costs anticipated in the next two decades globally, AI at the services of healthcare will be extremely important. It appears Amazon’s newest service uses machine learning to extract medical data from patient records. Uber has reportedly picked Morgan Stanley to lead its upcoming initial public offering, news of which became public last week when the ride-hailing giant filed confidentially with the U.S. Securities and Exchange Commission for an IPO expected in the first quarter of 2019. Uber’s choice, first reported by Bloomberg, comes after a months-long bidding war, of sorts, between Morgan Stanley and Goldman Sachs. The pair of investment banks presented IPO plans to Uber this fall, in hopes of landing the top underwriting spot in what will be one of the largest stock market debuts to date. Morgan Stanley, having won the battle, can expect to receive a large portion of the fees that come with an IPO. D’Ieteren, the Belgian importer of the Volkswagen Group, has unveiled plans to sell cars online. The new online platform is expected to be ready for next year’s Brussels Motor Show in January. In a first stage, the new sales model will be used for Volkswagen brand vehicles, both stock cars and made-to-order cars. The cars will not be offered by D’Ieteren directly but instead by its dealer network that will define variants, trim levels and options. The UAE is leading the Arab region when it comes to the adoption of artificial intelligence (AI) solutions, which is set to see an annual growth rate of 33.5 per cent, a new report has revealed. The report by the Dubai Technology Entrepreneurship Campus, prepared in collaboration with ArabNet and startAD, also revealed that the UAE is followed by Saudi Arabia with an expected 31.3 per cent annual growth rate in the adoption of AI, the rest of the GCC region at 28.8 per cent, and Egypt at 25.5 per cent. “The UAE continues to rank high in several regional and global indicators, including competitiveness, innovation, and ease of doing business, owing to its advanced AI policy that paves the way for the implementation of various smart government components. Leading by example, the corporations in the UAE are actively preparing to leverage the strengths of AI to build defensible value for the future,” said Ramesh Jagannathan, MD of startAD. Abu Dhabi Global Market Courts (ADGM Courts) has launched a digital, bespoke courtroom in the ADGM Building. The digital courtroom, which ADGM says is the first of its kind worldwide, is intended to create a holistic digital environment to handle all court processes. It provides both local and remote access to digital court files, case management and evidence bundles, in real time, so that all parties can access relevant documents immediately. Participants can be linked by broadcast-quality live video and audio links, to allow full interaction from anywhere in the world. The United Arab Emirates’ central bank is collaborating with the Saudi Arabian Monetary Authority (SAMA) to issue a cryptocurrency accepted in cross-border transactions between the two countries. Dubai-based media outlet GulfNews reported on this collaboration on Dec. 12. Agility, one of the largest logistics firms in the region, will invest $100 million in a digital logistics platform that allows small businesses and entrepreneurs to manage their freight and deliveries online. Shipa.com will host three targeted segments: e-commerce, delivery and freight, Agility said in a statement on Monday. Dubai’s transport authority has unveiled its Sky Pod project, a futuristic mobility system which will require less power and infrastructure to operate. Mattar Al Tayer, director-general and chairman of the RTA, said the futuristic mobility system would use an area of land that is 100 times less than conventional means of the same capacity, while the pods’ power efficiency is five times better than electric vehicles and the system requires infrastructure, which is 10 times less than conventional transit systems. This year’s Arabnet conference falls under the theme of “Rise of the Innovation Kingdom”. The event will gather several high-profile Saudi entrepreneurs that will share their success stories, offer entrepreneurial tips, and reveal industry insights on different forums and/or initiatives. Here are some of the Saudi entrepreneurs that are worth watching out for at the conference. The Central Bank of Kuwait has announced that it is embarking on a ‘long list’ of initiatives aiming to revamp and upgrade the IT infrastructure of the country’s financial systems. One major initiative is the Kuwait National Payment System (KNPS), a strategic mega project being developed with local banks and payment gateways to be rolled out in two phases in 2019 and 2020. Also, to prepare for the potential of issuing digital currency in the future, CBK says it will have the tools ready to go live. In addition to e-wallets, this includes a Digital Kuwaiti Dinar, which will facilitate exchange against tokenised assets. Annual spending on digital transformation (DX) initiatives in the Middle East, Turkey and Africa is set to cross the $20 billion mark by the end of this year. The figures which came from the latest report by global research and advisory services firm International Data Corporation also noted that spending is expected to more than double over the coming years, passing $40 billion by 2022. In order to have innovative smart city applications, cities first need to build out the connected infrastructure, which can be a costly, lengthy, and politicized process. Third-parties are helping build infrastructure at no cost to cities by paying for projects entirely through advertising placements on the new equipment. I try to dig into the economics of ad-funded smart city projects to better understand what types of infrastructure can be built under an ad-funded model, the benefits the strategy provides to cities, and the non-obvious costs cities have to consider. Waymo, the former Google self-driving project owned by parent company Alphabet, is launching a commercial robotaxi service in the Phoenix area. Dubbed Waymo One, this milestone for the company and nascent self-driving technology industry comes with caveats. The Waymo One self-driving car service, and accompanying app, won’t be available to just anyone. And for now, the company says it will have Waymo-trained test drivers behind the wheel (even though the company already has driverless vehicles on public roads in Phoenix). Despite the imperative of digital transformation, organisations are reluctant to take the necessary digital steps, according to research from Forrester. The research firm surveyed business leaders on their digital change finding many fundamentally misunderstood the strategy and most were dangerously complacent around its biggest risk. In August, fellow analysts from Gartner delivered a scathing assessment of digital transformation in Australia and more recently some of the country’s digital leaders have outlined their own concerns about the state of digital in Australia. BEIJING — China’s No. 2 e-commerce operator JD.com has opened a hydroponic vegetable factory in Beijing, seeking to win over the growing ranks of middle-income families worried about food safety. JD.com said Thursday that the factory, built by Mitsubishi Chemical, is part of a strategic partnership with the Japanese company. The $3.56 million factory, situated in Beijing’s Tongzhou district, is one of the country’s largest at some 11,000 sq. meters and can produce vegetables in a clean and controlled environment. With annual capacity of about 300 tons, it will grow lettuce and about five other leafy vegetables. JD.com will begin online sales soon. French music streaming service Deezer will focus on local Arabic content in the MENA region in order to overcome fierce competition from global rivals YouTube and Spotify, according to CEO Hans-Holger Albrecht. Deezer and Spotify’s MENA launches took place just three weeks apart, with the Paris-based firm having a head start in October. Speaking to Arabian Business, Albrecht said Deezer is ‘not afraid’ of the competition as it focuses heavily on the region. In August, partnered with the Arab world’s largest record label Rotana to offer users a wide selection of Arabic hits and access to local content from music production group Mazzika and Saudi-based telecom provider Qanawat, in addition to 53 million tracks from global artists. FinTech Hive at DIFC, the first and largest financial technology accelerator in the Middle East, Africa and South Asia (MEASA) region, marked another milestone on Tuesday in its continued support for financial innovation with the completion of the 2018 edition of its accelerator programme. His Excellency, Dr. Mohammad Y. Al-Hashel, the Governor of the Central Bank of Kuwait has announced that the bank has issued a Regulatory Sandbox Framework for fintech companies. With a goal of spurring firms to experiment with emerging sectors in the fintech space, the sandbox guidelines will be providing flexibility to participants in meeting some regulatory or licensing requirements. The sandbox will also allow banking systems to test new technologies in a controlled environment, which the regulator hopes will improve stability. Dubai-based e-commerce giant Souq.com on Wednesday announced that the number of items sold during White Friday 2017 more than doubled compared to last year. A total of one million deals were on offer during the event, and 18 items were sold per second during peak times of the four-day sale, the retailer said in a statement. Products from over 16,000 international fashion, beauty, electronics, grocery and other brands were on offer during White Friday 2017 which ran from November 22-25 across the GCC and Egypt. Almost half of payments during the event were through made through e-payment methods instead of cash, the highest Souq.com said it has seen in the region to date. “The screen has become the most important place in the world,” says Clark Valberg, CEO and founder of InVision. Whatever your company does, whether it’s a physical product or virtual service, chances are your customer experiences it significantly, and maybe entirely, on the screen of a mobile phone or computer. When today’s multibillion-dollar companies like Uber and Airbnb are born, more often than not it’s because they’ve won the war for digital real estate. Sales, marketing, customer support: “Most of your business processes are driven through that little pane of glass,” Valberg says. Funded by the Tulsa Community Foundation and the George Kaiser Family Foundation, Tulsa Remote says it’s “looking for builders, hustlers and change-makers” to help foster the city’s growth. In exchange, it’s offering successful applicants moving expenses, monthly payments to help cover rent and shared work space. After the success of Corporate Innovation Theater, we wanted to issue a more comprehensive guide to corporate innovation. Something actionable and easy to digest. Given the importance of innovation to drive the longevity, growth, and competitiveness of large corporations, here are 19 bulletproof strategies you can use to look innovative. Home delivery is better for the environment! Every day, more and more delivery vans are racing around to deliver packages. Younger generations have grown accustomed to the luxury of ordering items online and having them delivered at home for free, preferably on the same day. Public debate has started to address the negative impact of this consumption behaviour on the environment and traffic density. However a closer look at the issue uncovers the undeniable fact that home delivery of groceries has a huge positive impact on traffic and the environment. Today’s case studies of Ocado (UK) and Picnic (The Netherlands) both serve as living proof that the online grocery business is both ecological and profitable. Average households in the Benelux shop for groceries two to three times per week. Every two weeks, they often go for a ‘big restock’ of products with a longer shelf life. 90% of families keep the driving distance to their supermarket under ten minutes, mostly by car (65%) and by bike (15%). Only 12% of consumers make this trip on foot. The Dutch are a bit less reluctant to use their bike for grocery shopping, mainly due to a smarter spread of supermarkets throughout residential areas. This article uses a simplified view in order to convey a general look at the issue, we don’t go into detail as consumers combining grocery shopping with daily commutes or other shopping trips. Our first hypothesis: one delivery van can deliver between 20 to 30 grocery packages within a eight-hour workday. Ocado confirmed these numbers in their 2017 yearly report: their vans delivered an average of 21 packages per day, each package consisting of an average of 50 items with a basket size of £100 (of which 46% fresh produce). Sceptics claim that this doesn’t necessarily imply that less vehicle kilometers are traveled. However, grocery shopping is of a completely different nature than the delivery of non-food items, which are often only ordered sporadically by any given consumer. Grocery shopping is highly frequent, regular and predictable. This allows for modern technologies to analyse and plot the most efficient routes between deliveries within the same neighbourhood. Picnic and Ocado have mastered this technique as they develop their customer base neighbourhood by neighbourhood. Only delivering when a critical mass of potential customers within a certain area is reached, guaranteeing profitability and efficiency. A fine-meshed network of distribution centers, optimized by smart data analytics, contribute to this highly efficient delivery system. These players only operate in densely populated areas in order to keep profitability high, being careful not to burn their cash and efforts in rural areas. Ocado for example offers its services in central parts of the UK, skipping Scotland, Wales and Cornwall. Most parts of the Benelux are very well suited for this type of fine-meshed home delivery. In The Netherlands and Belgium, we can assume that the average distance to a supermarkt totals an average of three kilometers. An optimised network of distribution centres could therefore reduce the amount of kilometers traveled by 60-80%. Delivery vans are much more polluting than a normal family car. Moreover, they consume energy because of the cooling equipment needed to transport fresh groceries. For same day and two-hour deliveries it’s impossible to pre-define an optimal delivery route. A considerable percentage of products will be returned by consumers (as often happens today with clothing and electronics ordered online). Optimal routes and shorter distances are not realistic for all areas in the country. Consumers will probably use the time that they have freed up to drive around for other activities. It’s easier to electrify all delivery vans at once (as Picnic has done) instead of waiting for the slow adoption of eco-friendly cars amongst consumers. Home delivery could also be done by bike. Further optimisation of delivery routes, for example by utilising storage space of flats and office buildings. The minimum basket size could be increased, in order to reduce the number of small trips. Grocery delivery could be combined with the collection of returns (non-food), empty packages and waste. Different home delivery services could be combined. Several retailers are already exploring the possibility of combining groceries with prepared meals. 80.000 delivery vans are needed for the Benelux in order to save 685.000 car rides a day. A second thought experiment starts from the consumer’s shopping behaviour. The average household goes grocery shopping about 100 times a year. Assuming the average distance to a supermarket is 3 km, this adds up to 600 km of traveled distance per year. Let’s also introduce the (conservative) “home delivery conversion factor” of 50%, assuming that half of these trips are not done by car or are picked up during combined shopping rounds. In other words, 50 trips per year are left to potentially be optimised by home delivery. In the Benelux alone, this embodies 600 million shopping trips and 3.6 billion kilometers of vehicle distance traveled by 12 million households. Ideally, we would need 80.000 delivery vans operating in an optimised home delivery model to make this reality, assuming 8 hour productivity per day, 365 days a year, 20 deliveries per day. This investment would prevent at least 2 billion kilometers of distance traveled per year and remove 685.000 cars from our roads per day. Indeed, converting half of our shopping to home delivery doesn’t seem like science fiction anymore. Benefits to the environment and mobility would be considerable. Furthermore, economically there are no counterarguments, with Ocado proving that the online supermarket can be a very profitable business model, with a healthy EBITDA of 6% in 2017. Traditional retail would be immensely impacted by this development. The bigger the share of home delivery, the less profitability for brick-and-mortar stores. Not only would the number of supermarkets plummet dramatically, their roles would need to be re-invented in order to provide supreme (ultra-local) convenience and/or experience. Not unlike what happened in the banking sector, where a complete transformation resulted in less, but better offices and more digital service. Although most retailers are experimenting in this area, very few are preparing for the scale and speed of change. With current profitability levels of food retail, a 5% share of home delivery would lead to 50% less shops. In 2018, Nils became Global head of the Food, Beverage and Food Retail practice of Duval Union Consulting . He is also partner and non-executive director at Jacoti, a new tech company in the hearing aids industry and non-executive director at the Brewery of the Trappists of Westmalle. Dubai-based mall operator Majid Al Futtaim has acquired Beam Portal, the owner of UAE mobile wallet app Beam, it announced on Wednesday. The acquisition grants Majid Al Futtaim ownership of Beam’s IP rights, branding, and e-wallet services across the region. Beam enables retailers to accept mobile payments and engage with customers directly through their smartphones. The app was recently launched in Majid Al Futtaim fashion and home retail stores in the UAE, and will be expanded across all Majid Al Futtaim retail stores in 2019. The agreement, signed at Al Husseiniya Palace by the Khalifa Fund for Enterprise Development and Jordan’s Crown Prince Foundation, is aimed to support entrepreneurship and underpin the Jordanian government’s efforts to ensure a stable and balanced economy, state news agency WAM reported. This week, a senior delegation from the Kingdom of Bahrain visited Shenzhen to discuss opportunities to strengthen cooperation. The two cities have forged a number of business links since Bahrain EDB inaugurated in June 2018 its representative office for Southern China in Shenzhen, aiming to facilitate more investments by Chinese companies in Bahrain. “Our partnership with Shenzhen was built on common heritage as open and innovative business hubs with shared economic interests. We are very pleased to see our ties with this vibrant city continue to strengthen and believe these agreements will help us move towards a new era of collaboration,” said HE Sheikh Hisham Bin Abdulrahman Al Khalifa. This week, Bahrain signed eight landmark agreements with Shenzhen in the areas of technology and transportation. SeedStars Palestine winning team selected! SeedStars Ramallah 2018 is one of the main events of the Global Entrepreneurship Week Palestine. 7 best startups competed to be crowned the most promising seed-stage startup of Seedstars Ramallah 2018. The first winning startup was Inggez , who will have the opportunity to join the global Seedstars Family and take part in the regional and global Seedstars Summits that include tried and tested bootcamp and investor forum.